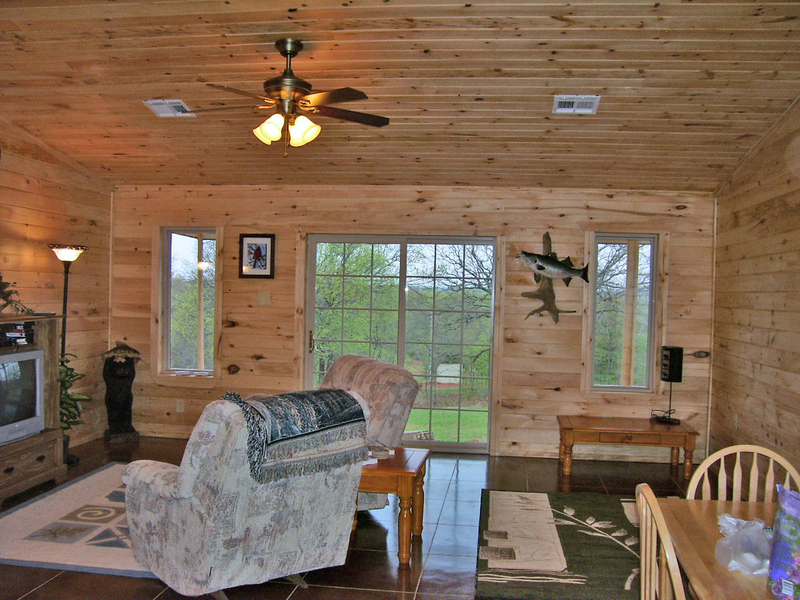 An outside view of the cabin from the front entry way and the rear porch area. 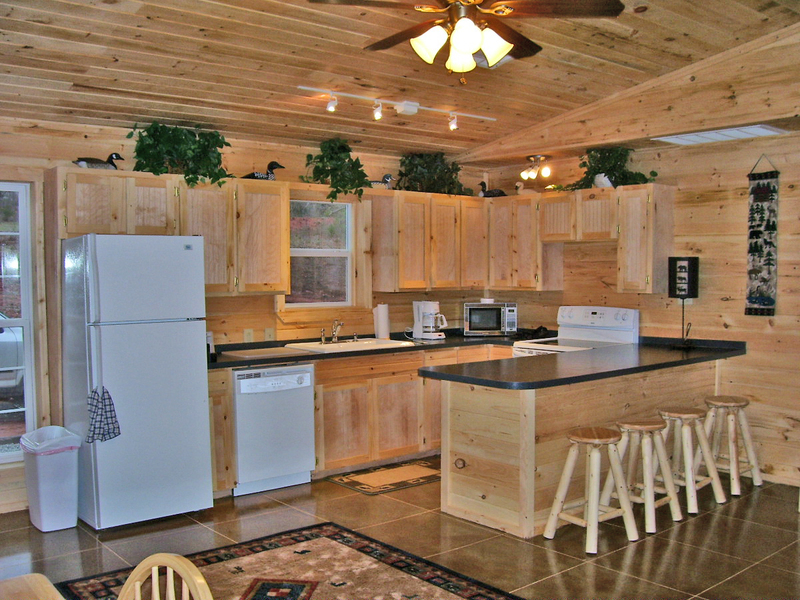 The cabin comes with a fully furnished kitchen. The living room has vaulted ceilings with ceiling fans for a nice breeze! Don't worry, the cabin comes with central air conditioning as well. 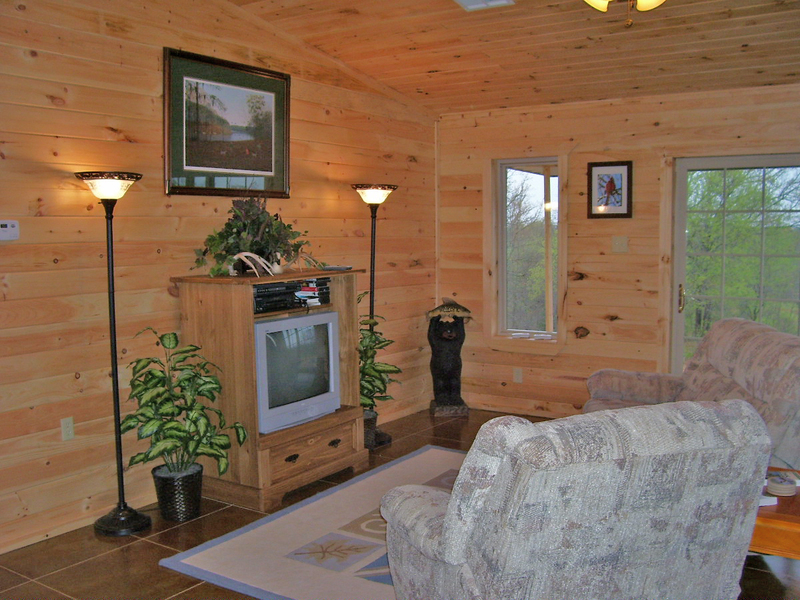 There's a TV, DVD player and Dish Network TV for those rainy days. The cabin has beds for five people. There are two bedrooms with queen-size beds, and a twin-size day bed in the living room. This is the master bedroom. 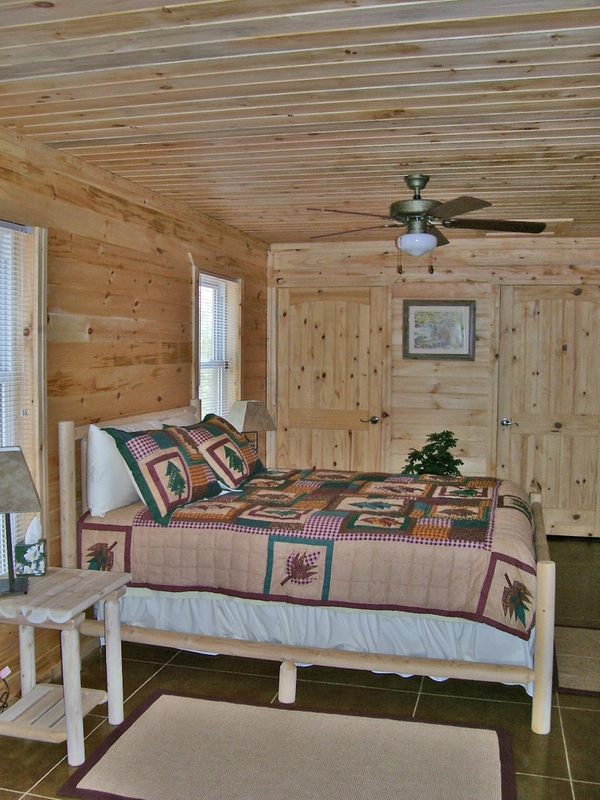 It has a queen-size log bed and its own private bathroom with a whirlpool tub and shower. The guest bedroom has its own private bathroom with a full bathtub and shower.